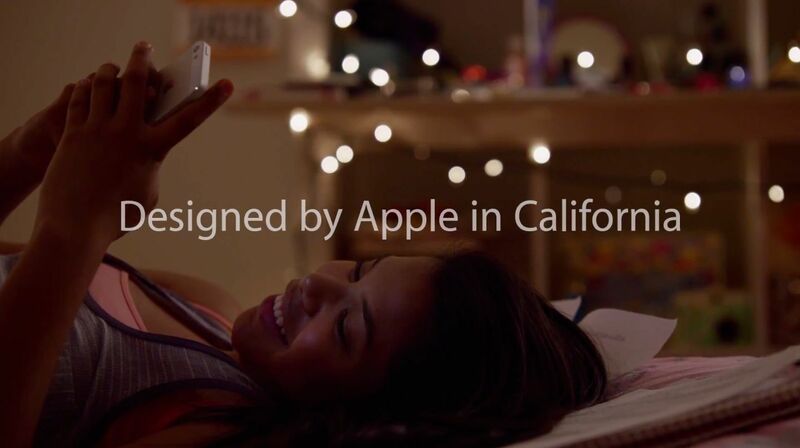 Apple’s new mission-statement ad campaign is epitomized in a television commercial which highlights Apple’s California roots and celebrates the firm’s famous ‘Designed by Apple in California’ tagline etched on the back of its products. It’s unfortunately not testing very well with viewers. Ad effectiveness firm Ace Metrix polled at least 500 television viewers who gave the latest commercial a score of 489 on its scale. That’s below an industry average of 542 and the lowest score of more than two dozen Apple TV ads in the past year. UPDATE: take a wild guess who Ace Metrix’s client is. That’s right, Samsung. Of course Bloomberg “forgot” to mention that “tiny” little detail. As noted by Silicon Beat, this one has conflict of interest written all over it. Certainly there are plenty of reasons to question the objectivity of a company which sells to its clients whose products it rates a service to help them improve their ratings. In case you haven’t seen the ad in question, here it is. Making matters worse, that ad especially ranked poorly with male viewers, particularly those over 21 years old. Viewers took issue with music, which they thought was “sad” and said the spot was too long. Be that as it may, Apple is extending the campaign to print with a two-page ad in a newspaper spotted earlier this week. By comparison, a recent Galaxy S4 commercial that demos features like the ability to answer a call without touching the screen scored a 757 by that same measure. Since May, Samsung has had eight ads that scored an average of over 600, according to Ace Metrix. It’s believed Apple in the absence of major new product launches has intentionally moved from product-focused ads to such mission-statement commercials that tout its brand, quality of the products and the innovation DNA. “Is this a subtle way of saying we’re not a Korean company? That’s not the way a leader like Apple should talk,” said Boches, a self-proclaimed “huge fan” of Apple. 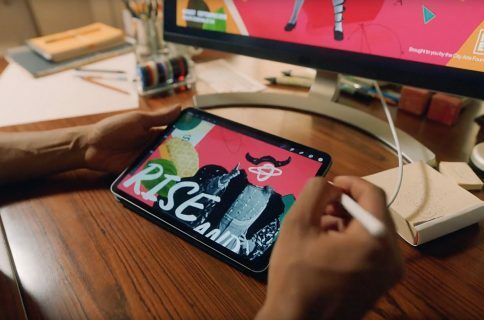 According to people with knowledge of the matter, Apple with the new ads wanted to “energize its customers and slow market share gains” by Samsung while it readies new versions of the iPhone and iPad. 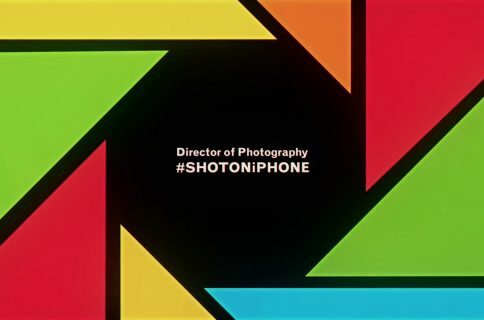 As a prelude to the ‘Designed by Apple’ thing, Apple aired a pair of iPhone commercials which don’t show any product features. Instead, the commercials show heartwarming images of people using their iPhones to listen to music and take pictures. According to Ace Metrix, these ads scored 560 and 537, respectively, low scores by both Apple’s and industry’s standards. This could be a sign of bigger issues following Steve Jobs’s passing on October 5, 2011. Previously, Apple briefly adopted a mission-statement approach to iPad advertising in order to counter the notion floated by competition that its tablet is underpowered. 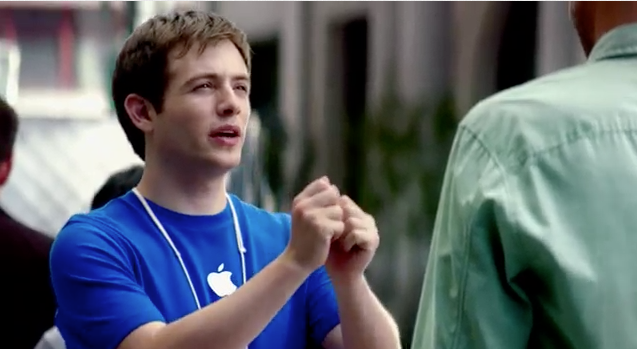 Apple’s advertising is mostly the work of global ad agency TBWA/Chiat/Day. Jobs and TBWA chief Lee Clow weren’t just personal friends, the two men had been collaborating on Apple’s memorable ad campaigns for three decades. Part of the magic was the TBWA/Media Arts Lab, also known as the ‘Apple ad factory’. 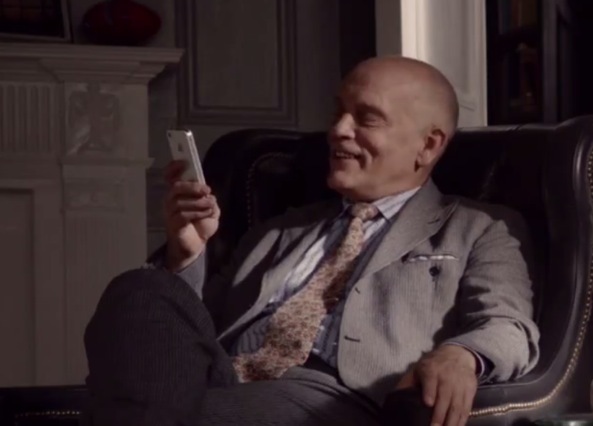 Siri ad starring John Malkowich scored 559 on Ace Metrix’s 900-point scale. Regular employees aren’t allowed into the building, which is separate from the main TBWA/Chiat/Day headquarters. Jobs, who knew marketing like no other executive, was famous for his hands-on approach to advertising which ensured nothing could get aired without his signing off on it. 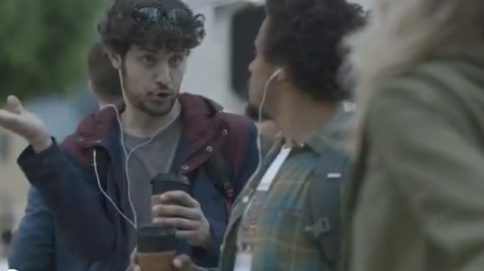 The Genius ads were short-lived and largely deemed a flop so Apple pulled them. Since Jobs’s death, marketing meetings run by Apple’s SVP of Worldwide Marketing have resulted in “less clarity about what the company wants its ads to say,” people familiar with Apple’s advertising recently told Bloomberg. “Once Jobs had made a decision, no one at Media Arts Lab argued for long,” the article has it. “Now, its creative staff becomes frustrated more often when Schiller shoots down ideas”. Be that as it may, Apple’s Mini-Me, as a BusinessWeek profile called Schiller, is probably aware that he’ll take his fair share of blame if Apple’s ads aren’t effective. And with a $1 billion global advertising budget, Schiller now has the daunting task of keeping Apple cool. But with failures like Siri celeb ads and those awful Apple Store ‘Genius’ ad series, Schiller better start listening to TBWA geniuses intently before these ads tarnish the Apple brand. I happen to like the ‘Designed by Apple’ ad series. If the basic premise behind these ads was to target die-hard Apple fans rather than the broad market, they’re much more successful than the numbers would have you believe. Do you like the new campaign? Or, does it come across as a forced attempt to remain relevant?